The Waterman 'Champion 501' was an English-made fountain pen made after WWII. Though it was considered an economy model by some, it nonetheless sported a 14K gold Waterman nib. 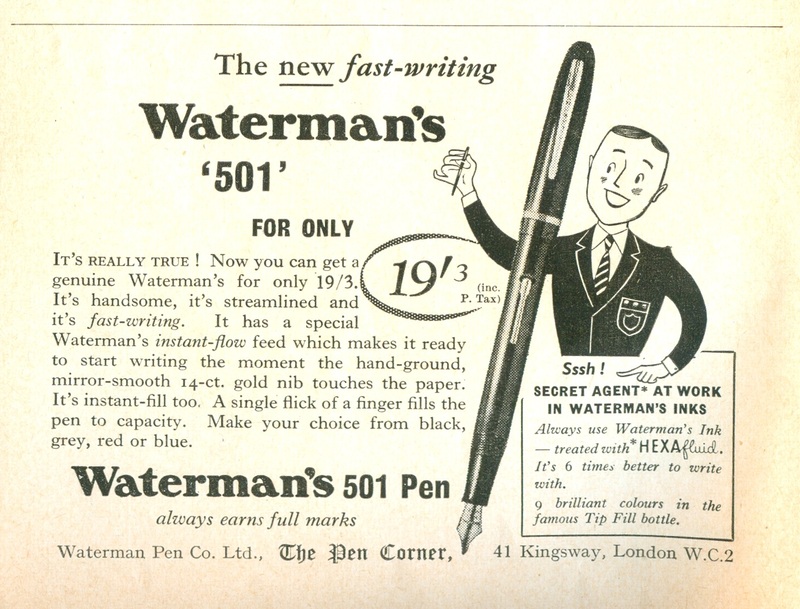 This is the first ad I've ever seen for this particular Waterman model (I did a Google search and came up with nothing) so many thanks to Christopher for the advert!